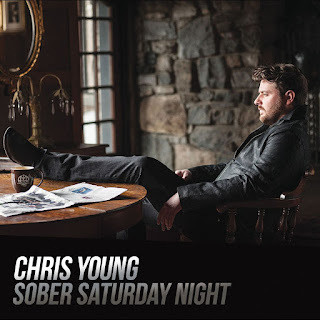 Chris Young, one of “country music’s most reliable hitmakers,” (USA Today) revealed today the music video for “Sober Saturday Night,” the follow up to Young’s eighth No. 1 single, “Think Of You,” and the third track to be released from the chart-topping ACM-nominated album, I’m Comin’ Over. “Sober Saturday Night,” featuring Country Music Hall of Fame® member Vince Gill, is written by Young with Brad Warren and Brett Warren. The newly released music video is directed by David Poag and filmed in Culleoka and Columbia, Tennessee. It features Young relating the story of a couple’s tumultuous relationship. Watch the music video at smarturl.it/sobersaturdayvideo. Young recently performed “Sober Saturday Night” on NBC’s “The Tonight Show Starting Jimmy Fallon” with Vince Gill and The Roots. This fall he’ll embark on the second leg of his headlining “I’m Comin’ Over Tour” with 25 shows from coast-to-coast.